Barthel (the former Axel Dieter Jr.) was making his Full Sail debut in this match. Jose won with a pop-up punch. As expected, they had a good match. Lorcan is on fire these days with his ring work, but Sabbatelli and Moss hit their double team Gory Bomb for the win. Billie Kay, Sarah Logan, Mercedes Martinez, Candice LeRae, Zeda, Vanessa Borne, Taynara Conti, Santana Garrett, Lacey Evans, Bianca Belair, Rhea Ripley, Sage Beckett, Reina Gonzalez, Abbey Laith, and Dakota Kai were also in the battle royal. After the match, William Regal posed with Cross, Ember Moon, Peyton Royce, and Kairi Sane (the four women who will face off at TakeOver) and the title in the ring. - Velveteen Dream attacked Aleister Black before an apparent match. He tied Black in the ropes and slapped him before being fought off. Vega did a pre-match promo about McIntyre ducking Almas for a title shot. Almas won with his DDT after Vega hit a rana on Strong into the steps on the outside. The Undisputed Era came out to talk to Strong after the match. Cross used her spinning neckbreaker for the win. This was an action-packed match. Aichner rolled through and pinned Gargano, who was distraught after being out-wrestled. - We were set up for a contract signing, but Almas attacked McIntyre on the ramp and signed it there. McIntyre defending the NXT Championship against Almas is seemingly set for TakeOver. The crowd was hot for this one and it delivered. 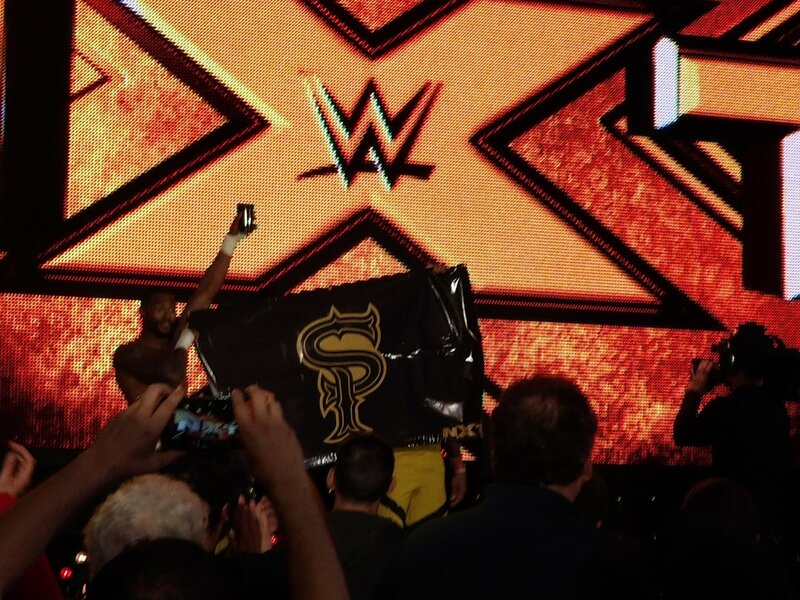 Strong teased joining Undisputed after the match, but he attacked Adam Cole instead. 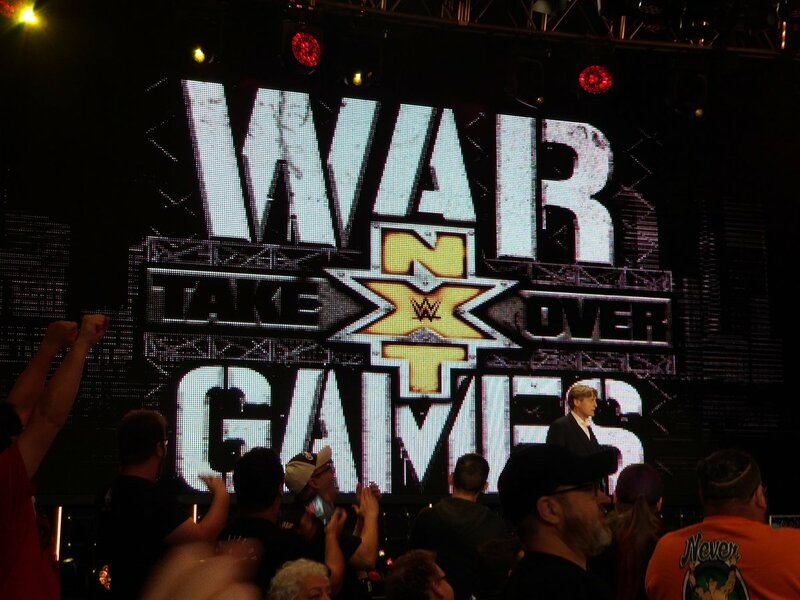 Everyone brawled until Mr. Regal gained control and announced there would be a three team triple threat match between The Authors of Pain & Strong, The Undisputed Era, and SAnitY inside War Games at TakeOver. The crowd erupted for this announcement. 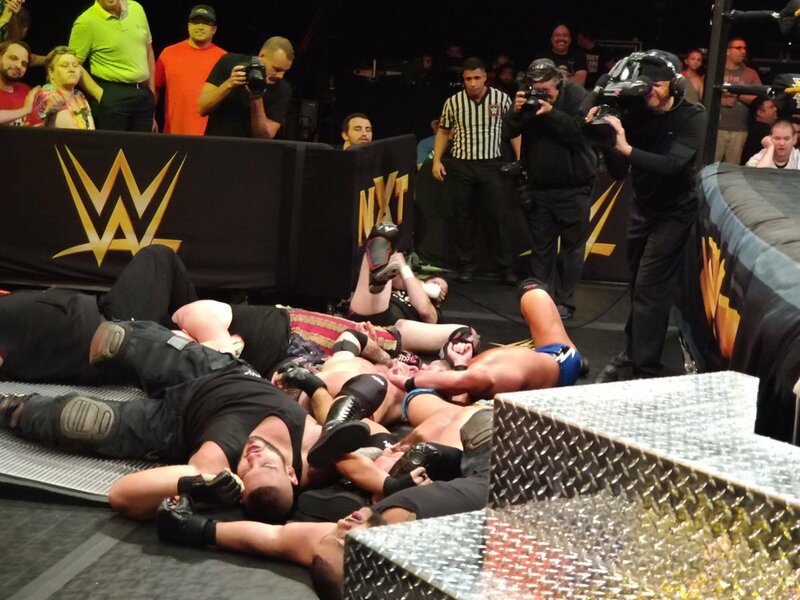 Heavy Machinery used their double team strongest slam for the victory. Sane won with the flying elbow drop. This was a fast match. Post-match, Dream said that he would make Aleister Black say his name at TakeOver. The Profits won and celebrated in the crowd with a fan-made banner. Sullivan won quickly with his slam. Kassius Ohno then made the save to prevent Sullivan from doing further damage, with Sullivan backing off from Ohno. Moon hit The Eclipse for the win, then the other three women in the fatal four-way at TakeOver stared her down. - McIntyre was out to talk about Almas and said Vega might not let Almas off his leash to face him like a man. Almas made his way to the ring, then Vega dove on McIntyre for a distraction. That allowed Almas to leave McIntyre laying. 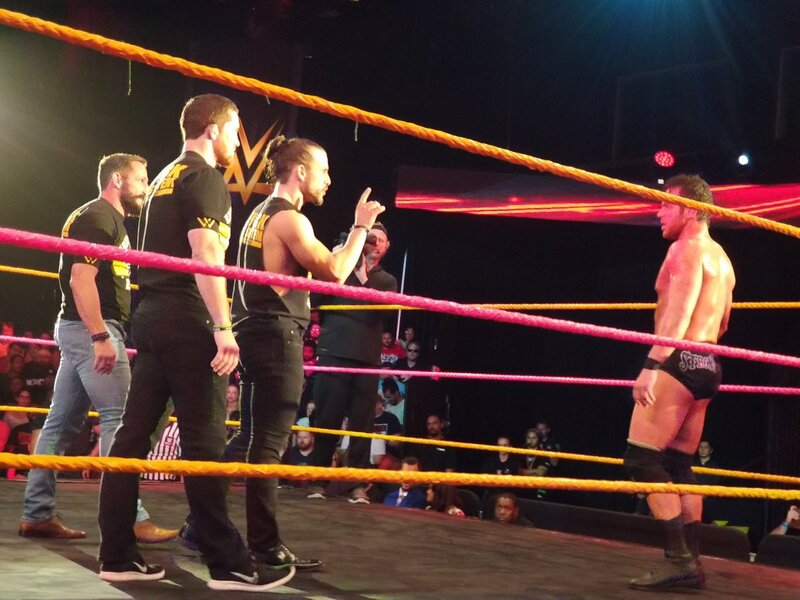 All three teams that will be in War Games got involved in a huge brawl to end the taping.